Above you see the SPIDER-MAN newspaper comic strip from January 19th, 1977--42 years ago this month. I can't be sure but I BELIEVE this was the strip I never got when I was clipping the original run. 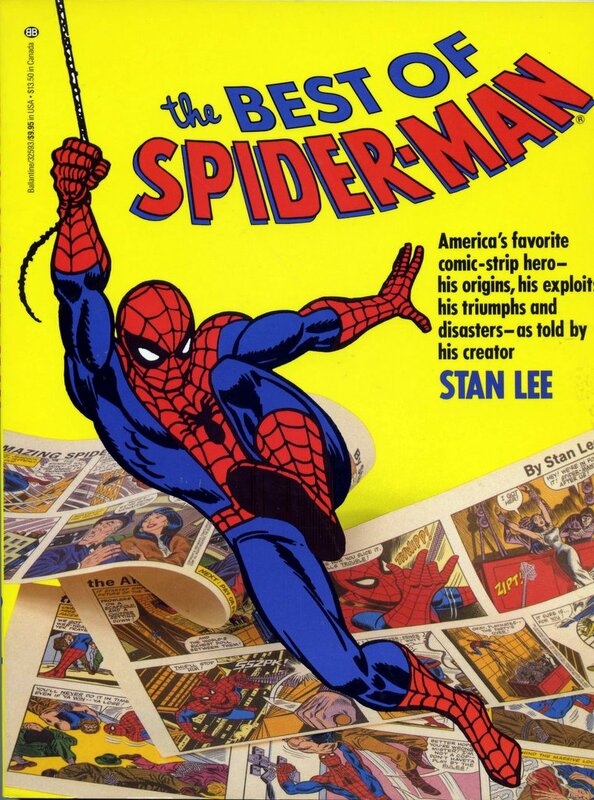 The SPIDER-MAN strip began on January 3rd 1977 and, the CINCINNATI ENQUIRER was carrying it. The problem was that we never received the ENQUIRER, the morning paper. My family took the CINCINNATI POST, the evening paper. Being a huge Spidey fan, I decided to clip them out daily and paste them in a scrapbook but in order to do that, I had to talk my parents into adding the ENQUIRER. Luckily they were open to the idea and we began receiving both the morning and evening papers at the beginning of the year. Everything was going fine until the weather took a turn for the worse. According to online reports, it was on the evening of January 18th when temps in the Northern Kentucky/Greater Cincinnati area hit an all-time low of -25 degrees, with thick snow on the ground! My memory is that it was still -25 the next morning when we did NOT get a newspaper. The papers had always been delivered around 5AM but that morning, even by 8AM there was no sign of ours, nor were there any visible in neighbors' yards. What to do? I was a completist and had to have that strip! Only one thing to do. Go buy one. There was an ENQUIRER rack just down at the end of the alley behind our house. Wouldn't take 5 minutes. Brilliant! So I got dressed appropriately--Two pair of underwear, two pair of socks, two shirts and two pairs of pants, a sweater, snow boots, a knitted face mask, a scarf, and two pair of gloves, one of which contained the precious dime I would need to open the rack and get my prize. And off I went, all trussed up, trudging slowly but carefully down the alleyway, each step taking a second or two to penetrate the blindingly white snow blanket. Took me about 20 minutes to get to the other end of the alley. There were no cars driving. None. The street didn't look as though anyone had even tried to drive on it. Took me another 3 or 4 minutes to get across that street! Finally! The rack, right in front of the Burger Chef, which I doubted would be opening that day. The clear plastic case was completely frosted over but I just knew the papers would be in there! Why wouldn't they be? It never occurred to me that with no car tracks or footprints, I was likely the only person stupid enough to have come out that morning! I pulled off my thick glove. I had my dime in the palm of the thinner glove underneath. My hand was already shivering as I tried to drop it in the coin slot only to find an icy barrier blocking it. I dropped the dime. Luckily, since it was the type of snow it was, it just lay there on top. I picked it up and tried to force it into its slot. It worked! I pulled at the handle only to find it, too, was frozen. Sigh. I put my glove back on and rubbed it across the plastic rack. I saw that it was empty. It took me another 25 minutes to trudge back home and probably twice that long to warm up. In my scrapbook I noted the missing strip. Not exactly sure of the date at the moment because I sold my collection of the first three years or so some years back now. I finally saw the strip in the reprint book at right, which I took with me to San Diego in the 1980s to get Stan Lee to sign. I ended up without a signature as the line was hours long (but I DID follow Stan and some friends down the Embarcadaro as we were both headed out to lunch). All of this comes to mind this morning in 2019 as much of the US, including my little corner of Kentucky, sits here with snow on the ground and temps--with the windchill factor--feeling an unprecedented -20 to -30 degrees! Stay warm and safe, everyone. Like the freeze of 1977, this, too, shall pass.